There are many energy sources today that are extremely limited in supply. Some of these sources include oil, natural gas, and coal. It is a matter of time before they will be exhausted. Estimates are that they can only meet our energy demands for another fifty to seventy years. So in an effort to find alternative forms of energy, the world has turned to renewable energy sources as the solution. There are many advantages and disadvantages to this. 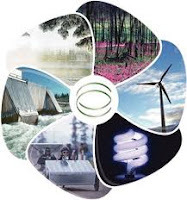 Renewable energy sources consist of solar, hydro, wind, geothermal, ocean and biomass. The most common advantage of each is that they are renewable and cannot be depleted. They are a clean energy, as they don’t pollute the air, and they don’t contribute to global warming or greenhouse effects. Since their sources are natural the cost of operations is reduced and they also require less maintenance on their plants. A common disadvantage to all is that it is difficult to produce the large quantities of electricity their counterpart the fossil fuels are able to. Since they are also new technologies, the cost of initiating them is high. Solar energy makes use of the sun’s energy. It is advantageous because the systems can fit into existing buildings and it does not affect land use. But since the area of the collectors is large, more materials are required. Solar radiation is also controlled by geography. And it is limited to daytime hours and non-cloudy days. Wind energy uses the power of the wind to produce electricity. Although it is the largest job producer, it is reliant on strong winds. Wind turbines are large and, although you can use the area under them for farming, many consider them unattractive looking. They are also very noisy to operate. In addition, they threaten the wild bird population. Hydroelectric energy uses water to produce power. This is the most reliable of all the renewable energy sources. On the down side, it affects ecology and causes downstream problems. The decay of vegetation along the riverbed can cause the buildup of methane. Methane is a contributing gas to greenhouse effect. Dams can also alter the natural river flow and affect wildlife. Colder, oxygen poor water can be released into the river, killing fish. And the release of water from the dam can cause flooding. Geothermal energy uses steam from the Earth’s ground to generate power. It uses smaller land areas than other power plants. They can run 24 hours per day, every day of the year. Disadvantages are that it is very site specific and, along with the heat from the Earth, it can also bring up toxic chemicals when obtaining the steam. Drilling geothermal reservoirs and finding them can be an expensive task. Biomass electricity is produced through the energies from wood, agricultural and municipal waste. It helps save on landfill waste but transportation can be expensive and ecological diversity of land may be affected. In addition, its process needs to be made simpler. Ocean energy is a clean and abundant energy form. It does, however, have high costs. Ocean thermal energy also requires close to a forty degree Fahrenheit difference in water temperature year round. In addition, construction and laying pipes can cause damage to the ecosystem. There are many advantages to the use of renewable energy sources. There are also some disadvantages. The fact is energy demands will continue to increase. Through research and development, as well as, new technologies, the hope is many of the disadvantages of renewable sources of energy can be eliminated and we can successfully incorporate it into our power supplies.